For more than 45 years, our attorneys have offered a broad range of legal services. We are dedicated to providing prompt, efficient legal counsel, and we strive to keep costs at a minimum. At Mast, Mast, Johnson, Wells & Trimyer P.A., we provide a universal approach to your issue, tailoring our work to clients’ current and future needs. With more than four decades of history in the area, our lawyers have developed a reputation for outstanding legal representation. Contact us today to meet with one of our experienced lawyers. A personal injury attorney will be able to help you get an accurate estimate of your damages, and press for a full and fair settlement offer. The legal service we provide at Mast Law Firm is always individualized and efficient, and we want our clients to be comfortable with bringing all of their personal legal needs to our attention. If you have been injured on the job we can help. Our work injury attorneys have decades of experience helping injured workers in North Carolina receive the workers’ compensation benefits they deserve. People often refer to this as just “worker’s comp” or even “workmen’s compensation” depending on the area. 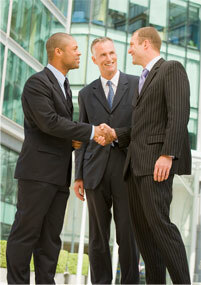 Mast Law Firm can help with all your legal issues. When an on-the-job accident happens due to insufficient safety precautions, someone must be held responsible, and we can help. At the Law Offices of Mast, Mast, Johnson, Wells & Trimyer P.A., our Raleigh workers’ compensation attorneys have years of experience handling all types of compensation claims. We are familiar with local laws, including North Carolina Workers’ Compensation Act, and know how to fight contractors and insurance companies to make sure that you get sufficient compensation for your damages, pain, and suffering. If you were injured or if a loved one suffered a wrongful death in an car wreck that was caused by someone else’s negligence or fault, please contact an experienced auto accident attorney at Mast, Law Firm in Smithfield or Garner, North Carolina, today for a free consultation and case evaluation. Injured in a trucking accident? At Mast Law Firm our family law attorneys have more than four decades of experience helping North Carolinians resolve a wide range of family law matters. You can rely on our skills and experience to help you achieve the best possible outcome to your legal situation. To discuss your family law concern, please contact an attorney at our law offices in Smithfield or Garner today. Equitable Distribution of Property and Separation Agreements. The equitable distribution of property is one of the most contentious aspects of a divorce or legal separation. How can you make sure you aren’t taken advantage of by your ex-spouse? Contact the lawyers of Mast Law Firm in Smithfield or Garner, North Carolina, today. We realize that family matters such as divorce or separation can be some of the most trying in a person’s life. Let the experienced professionals at Mast help you through this with clear, logical and knowledgeable advice and guidance. The child custody and visitation attorneys of Mast Law Firm can help you protect and enforce your rights as a parent. To discuss your concerns about child custody and visitation, please contact our law firm today. Our wills, estates, and trusts practice at Mast Law Firm has over four decades of experience with meeting the needs of our clients and their families. We have followed our estate plans from drafting and execution, through revision, and all the way through probate administration and final distribution. With careful drafting, a will can survive all of these steps intact, minimize taxes, and weather any challenges that dissenters attempt to make. Learn more about estate planning and trusts. Mast Law Firm is well experienced in handling simple as well as complicated insurance disputes. Insurance litigation with the large insurance companies can be a waiting game with suits, countersuits and more. This can all be accompanied by a lot of stalling and delays. You need a company that can help push your case through as fast as possible and carry through with whatever is required. We stand ready willing and able to meet with you and posses the skill and knowledge needed to help insure that your insurance case is properly evaluated, and that concrete recommendations are made. At Mast, our traffic ticket law firm and attorneys can help protect you and in many instances, minimize any points that may be added to your Driving Record and Insurance Record. Our experience has taught us that letting any violation go unattended can have a serious impact on your license and insurance, so prompt attention is critical. Contact us right away if you have been charged with a traffic violation. Our clients count on us to provide comprehensive legal counsel at reasonable rates, with personal attention, and careful thought given to every case. Our firm was founded on the principles of responsive, accessible, and effective legal counsel – we continue that tradition today. 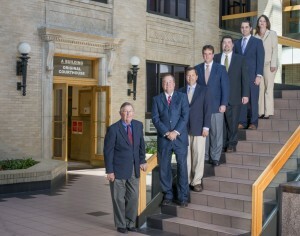 Our professional staff at the law firm of Mast, Mast, Johnson, Wells & Trimyer P.A. is dedicated to providing responsive and effective legal service to all of our clients. We strive to earn the trust that our clients express when they choose our firm, and we recognize that the matter we are assisting you with is often the most important thing going on in our clients’ lives. Our attorneys offer convenient appointment at our law offices centrally located in Garner and Smithfield. Call us at (800) 280-6676 or e-mail us to schedule a flexible appointment.